The subject of medical robots normally accompanies the assumption that they will soon replace clinicians. Those employed in healthcare know a different truth: healthcare embodies the repetitive and risk-heavy work for which robotics was developed. Anyone who has worked in a hospital understands the demand for patient care exceeds the amount of time you have in a day. This combined with ever-present staffing shortages and increasingly sick patients leads to physically demanding work which wears at the human body. Enter the incredible innovations which have arrived with robotic-assisted surgery. These surgical systems are designed to reduce medical errors, assist surgeons with difficult fine motor tasks, and reduce the repetitive stress which occurs with prolonged surgeries. A few of these incredible platforms are outlined below. 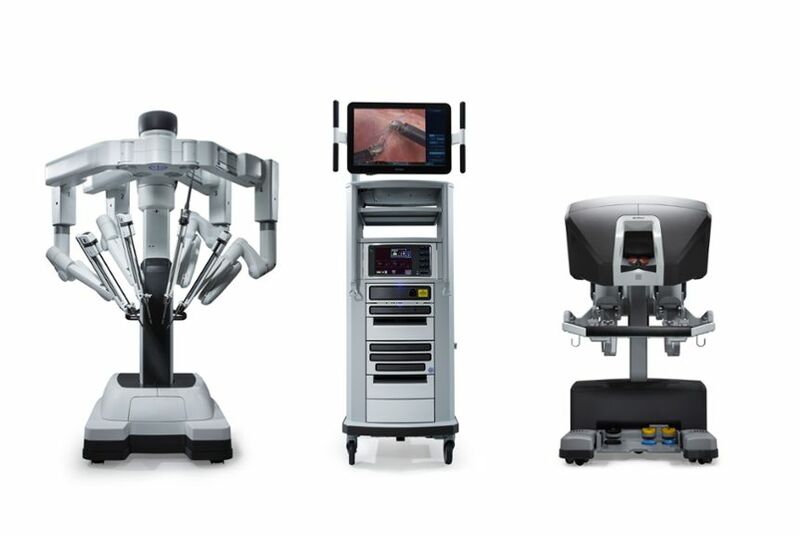 Intuitive Surgical was the first minimally invasive robotic surgery to come to market after being founded in 1995. The da Vinci surgical robot was first cleared by the FDA for general laproscopy, and through the years Intuitive has introduced several different da Vinci systems which allow surgical assistance for complicated procedures with precision and small incisions. Instruments paired with the da Vinci system include clip appliers, suction and irrigation tools, needle drivers for suturing and closing incisions, and additional tools for dissection, coagulation, and cutting. This diversity in tasks allows a physician not only to perform tasks with precision and accuracy to ensure quality of a procedure, but also addresses healing time by reducing the size of incisions. Additionally, the Ion system by Intuitive has been introduced and provides a catheter which is able to navigate the peripheral lung space for performing procedures such as biopsies. The Monarch platform provides a flexible, powered system for internal endoscopic procedures such as bronchoscopy. The current indication is to provide visualization and contact with patient airways for diagnosing and treating patients. 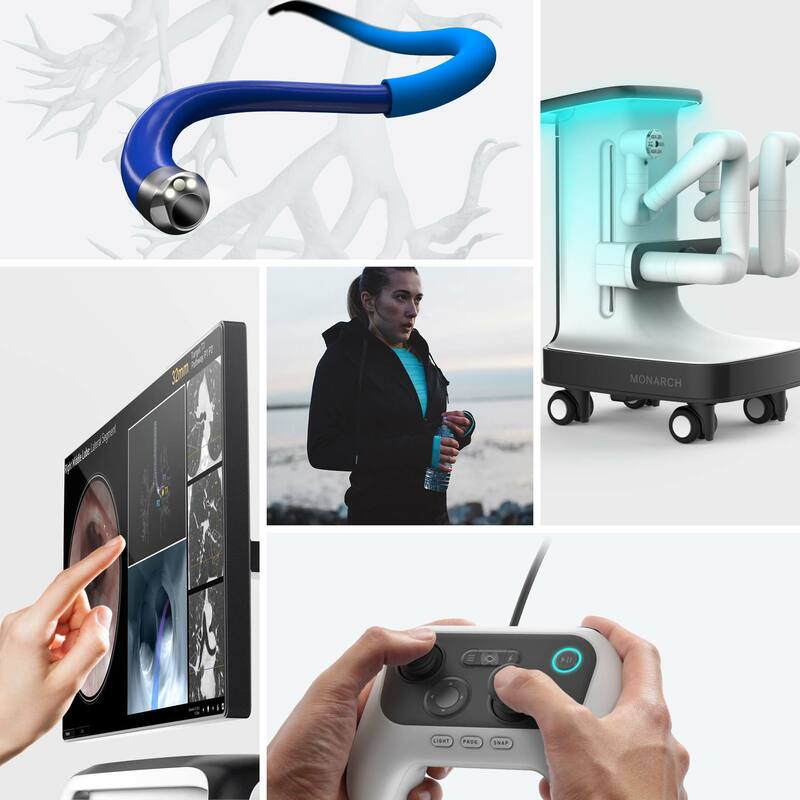 The platform is comprised of a robotic systems and its accessories, including a remote-power user interface which allows physicians to control the movement of the endoscope. Ultimately the goal of the platform is to tackle diseases such as lung cancer by providing more efficient and minimally invasive techniques for surgeons. Aquabeam is a robotic water ablation designed for the treatment of BPH (benign prostatic hyperplasia). Like the other systems, Aquabeam provides a combined visualization and treatment system to maximize efficiency and precision in patient care. The evolution of powered wearables has been exciting to watch, evolving from clunky and with limited application to sleek and multipurpose. For those that have been following SRI‘s development of Superflex, there has been some wait to see the development of the soft wearable exosuit. With the termination of Superflex and the acquisition of Lumo Bodytech by SRI comes the strength of the new SRI-sponsored company Seismic. Seismic is a new product which integrates technology from Superflex and movement-based algorithms from Lumo Bodytech to assist with human movement with a soft robotic exosuit. For anyone along the aging population spectrum, powered wearable technology will provide independence and support to sustain daily activities and exercise. Thankfully due to progress in wearables, the appeal is growing to the mass market for application of common tasks. The most appealing wearables are those that are easily integrated into a user’s life without many additional steps. Can a person integrate the wearable into their daily routine without thinking too much about activating or wearing the product? Passive integration is generally best. The robotic design integrated into Seismic’s wearable gear facilitates easy enhancement of movement and activities. A person can simply slip on the gear, and activate the desired function. The gear complements the muscular activity which is the source of our movements. For those following the evolution of wearables, Seismic provides a pathway to the integration of wearable robotic gear to improve everyday activity. Movement and mobility mean independence, and for those that need a little extra assistance, this type of wearable will be a lifechanger. After working for years in different healthcare settings, I learned to appreciate simple, good design of medical products, and have experienced the frustration of poor design. Most of the time we use a medical product is for an important reason, often putting the function of the product before the design in importance. However, this model of function before design often leads to unforeseen problems from misuse. One of the most important factors for whether a product will be adopted is whether the intended user can actually use the product, and how easily. Even if something is a major engineering accomplishment, if it is difficult for a patient or provider to use it will either be misused or not used at all. Misuse due to confusion and poor design lead to poor adoption. Below are some frequently used medical products, categorized by quality of design. A pulse oximeter is a small medical device to measure the oxygen saturation in a person’s bloodstream. Typically in a hospital setting, you want oxygen saturation to be above 92%. Lower values mean a person is not getting enough oxygen, and this can result in fainting, falling, and other risks. The reason that pulse oximeters have a good design is the ease of use. One simple inserts their finger into the device, which then reads the oxygen saturation using infrared light through the capillaries in the hand, and displays the reading on an easy to read screen. There is little confusion about how to use this device, and little confusion about how to read the result. Having worked extensively with individuals using wheelchairs, there are very few which have been properly adjusted or fitted for people. Manual wheelchairs by design are difficult to adjust, both for patients and healthcare professionals, leading to frustration and improper fitting and use. In the rush of an injury such as sudden paralysis, people are often improperly fitted and rushed into buying a wheelchair which does not suit them. Manual wheelchairs have multiple parts, which can be difficult to adjust and store. Additionally, the weight of the product creates a burden on users, especially with repetitive use. Lightweight models made of carbon fiber have begun to address these issues, but the price remains high for many people to afford. For the amount of years wheelchairs have existed in healthcare and been an option for those with limited mobility, there is still a long way to go before wheelchairs become an easily used product for short or long term use. Prosthetics, particularly for below knee amputees, is one area of healthcare which has significantly improved in the last couple of decades. Companies have adopted modular designs for fit, comfort, design, and safety. Compared to the wooden, heavy prosthetics of 20 years ago, new prosthesis allow individuals to walk and run. The true beauty of improvement in prosthetics is being brought to surface by research labs such as Hugh Herr’s lab at MIT, where projects are breathing new life into prosthetics with added function, mobility, and proprioception. The term “ergonomics” normally has a similar effect on people as the words “healthy lifestyle:” guilt and unattainability. It conjures the image of someone sitting stick straight at a desk or lifting a box like a robot. We hear about it, know we should follow it, and ultimately dismiss it due to inconvenience. One of the main lessons I learned from treating hundreds of people with work-related injuries is that unless there is a very traumatic injury, it is normally repetitive stress which wrecks our bodies. Our bodies are designed for a variety of functions which are often not physically accommodated in most jobs. Arms are designed for manipulation during a variety of daily tasks, not for constant daily typing. Our legs are designed to alternate loads during walking, and not for prolonged standing or repetitive squatting in place. Our torso muscles and spine developed to hold us upright during walking, and prolonged sitting has known deleterious effects1. When I started doing ergonomic evaluations, I would normally sound off about 10 ideal postures and mechanics to which people would politely nod and then forget about. The further away from your body an object is, the less efficient your muscles are and the risk of strain increases. Keep frequently used items “bent elbow” distance from your body. Our muscles fatigue when trying to hold us in place for prolonged periods. One way to break up this fatigue and allow some recovery time is to alternate positions. If you can’t keep close items which you’re working with, and you must perform repetitive tasks for your job, then enlisting assistance is a good idea. An exoskeleton which passively assists during repetitive squatting, repetitive overhead lifting, and repetitive bending helps during those tasks when our body is vulnerable to injury. How is it really that a person can learn to move again after a debilitating injury? When a neurological injury such as a stroke or spinal cord injury occurs, people are left wondering how to function again. It can seem like the end of movement as they know it, a death in the way that a person has adapted to navigating their environment for years. Depending on the type and severity of a neurological injury, the results of such an event can vary greatly. A brain injury such as a stroke disrupts the way that the brain serves as a command center for muscles, altering the way a person has learned to move and feel. A traumatic brain injury can completely alter movement, perception, and personality, depending on the area of the brain affected. Degenerative diseases such as Multiple Sclerosis slowly attack a person’s central nervous system, causing them to have a gradual decline in physical and sensory function. In physical therapy, clients and their families are understandably scared and frustrated after such injuries. How does a person move forward with a life-changing disease or event? The hope lies in the power of adaptation, and the ability of the human neural circuitry to rewire and allow someone to learn to navigate the world in a new way. This is called neural plasticity, and it is a powerful survival tool which optimizes our resilience in life. The nerves in our bodies communicate with biological electrical signals much like common electrical wires. When one nerve wire is faulty, our body finds a way to establish a signal through a new route so that a message can be delivered. This is absolutely amazing, and allows people to move forward in life after a debilitating disease or injury. People often wonder how long it will take until they feel ‘normal’ again, and the beauty of neural plasticity is that our bodies find a new ‘normal’ through rewiring the neural circuitry. The key in this recovery is that the body and brain must be forced to find the new normal through practice and repetition. Encouraging someone to use their arm after a stroke, for example, fosters new signals in the body which recover upper body movement. Practicing walking after a stroke is vital in recovering walking ability. The central nervous system recovers by creating new synapses. Where there was a blockage in communication from the injury, new receptors and new active signals are created. This requires increased stimulation in the brain, meaning that a person must be encouraged to do an activity which may seem difficult and new given their injury. It will initially feel like a new, uncoordinated task and will slowly become more efficient with practice as the brain and central nervous system adapt. Peripheral nerves, the ones that transmit signals from the spinal cord to the rest of the body and back, also recover in several ways. The tail of the neuron, the axon, can regrow. In addition, a number of events are set off to create new signals and stimulate recovery. Neuroprosthetics and technologies that force a person back into movement early may stimulate this mechanism of neural plasticity for an injured person. In general, the sooner that someone can start moving, the better. More time without movement means more muscle atrophy, as well as more of the body forgetting how to move through disuse. The body responds to the commands and stresses that are placed on it, and devices and therapies that foster a plastic response are not only positive and productive, but what allow people to survive and adapt after a life-changing injury.